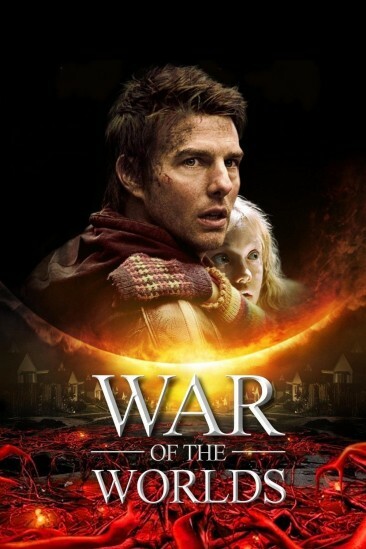 War of the Worlds battles its way through family turmoil and extraterrestrial invaders. There was only one director that could adapt H.G. Wells' classic sci-fi novel and make it applicable for the current century. That man is Steven Spielberg. Not only has he made an exhilarating blockbuster intertwining many sub-genres into a sci-fi epic, but also allegorically addresses a society post-9/11. If only that underwhelming conclusion could've maintained the awe and suspense that the rest of the film breathed. The world is invaded by "Tripod" extraterrestrial machines that are exterminating the planet, where a father is dumped with his estranged children. This dysfunctional family must come together in order to survive. Forget about the colossal alien death machines, the real focus is on this broken family. A father attempting to reconnect with his children within the harsh extremities of an other-worldly invasion. It is during these difficult times that the children are susceptible to their father's authority and start to view him as a figure of leadership. They look up to him, and it gives him a chance to showcase his protective fatherly instincts. Substantial development from all individuals in this family that truly makes for some investing drama. Cruise gives a compelling performance, whilst also running for his life many times. Fanning, well, screams for the majority of the film. It's not her fault that her character is horrifically written, but it does leave her character insufferably irritating. The several lines of dialogue that relate to urban terrorism and several scenes relating to 9/11, particularly the plane crash, thematically presents a society adjusting to events that have changed the entire nation. Spielberg takes this and utilises it to enhance the modern perspective of Wells' novel, and it's effective. The visuals remain awe-inspiring, with the gigantic "Tripods" decimating cities, although some of the green screen was noticeable. Williams' score contains traces of Spielberg's classicism whilst crafting refreshing epic pieces of music, especially when the army are on the hill. But then we come to the ending, and it just feels so underwhelming given the chaos and fear that preceded it. It's a story about survival, so when these extraterrestrials struggle to survive themselves (despite the advanced technology they have acquired) it diminishes the plot. Is it a remark on current fatty consumerism? Or perhaps pollution? Humans have evolved to survive after thousands of years, able to coexist with the billion microbes that inhabit the planet. However after a day and night, these aliens just couldn't take it. Through all the colourful battles and horrific imagery, the film builds up to a promising final act but misses the mark almost completely. That's without mentioning how lucky Ray was. I mean he avoided death like ten times as he runs, drives or swims away from carnage. It's a shame that the ending is unfortunately underwhelming, as this is without a doubt one of Spielberg's most underrated and overlooked films within his extensive canon. Not the war that ends the world, but a dramatic battle nonetheless.